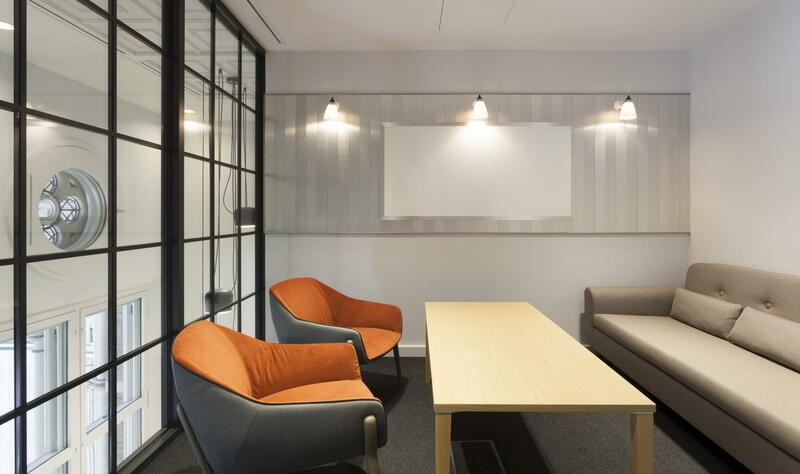 Design wise, think copper, steel mesh, stained timber and panelling – a good mix of classic and contemporary. Arched windows look into Liverpool Street Station itself and yes it’s very easy to locate as it’s the one beside McDonald’s. 50 Liverpool Street is a bit of a fighter. After being the target of London’s first attack during the First World War it also survived British Rail’s plans to demolish the station in favour of a modern development. The now famous 1979 conservation campaign was led by Sir John Bejtemen and Sir Spike Milligan, and the building subsequently becoming the muse for some pretty decent poetry. 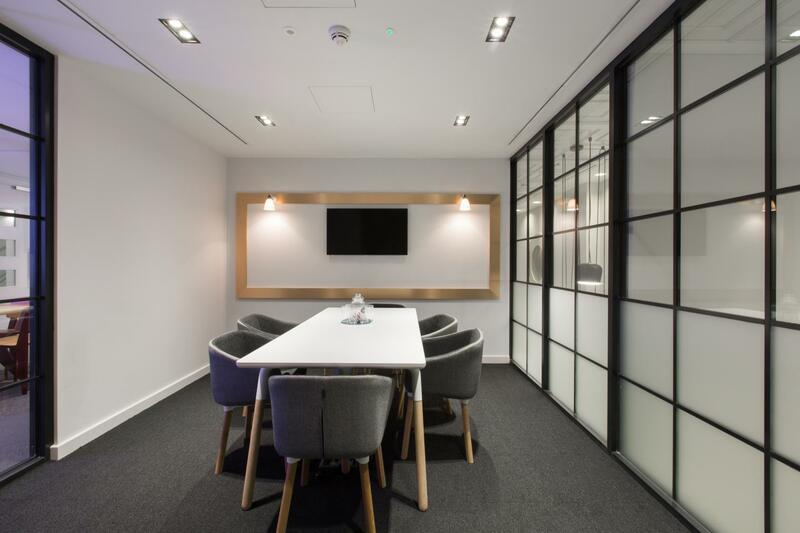 This meeting room can seat up to 8 people boardroom style. It has a LCD screen, dual aspect windows and beautiful lighting. 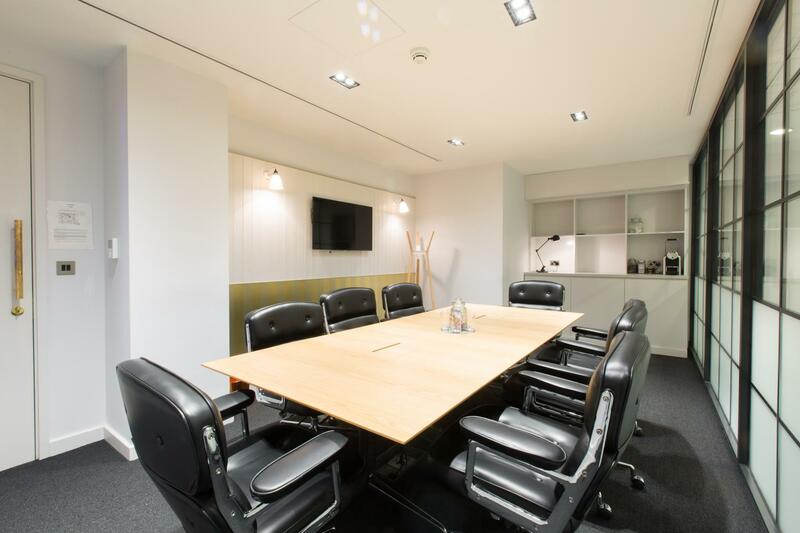 A 6 person meeting room with a LCD screen, comfortable seating and lots of natural light. 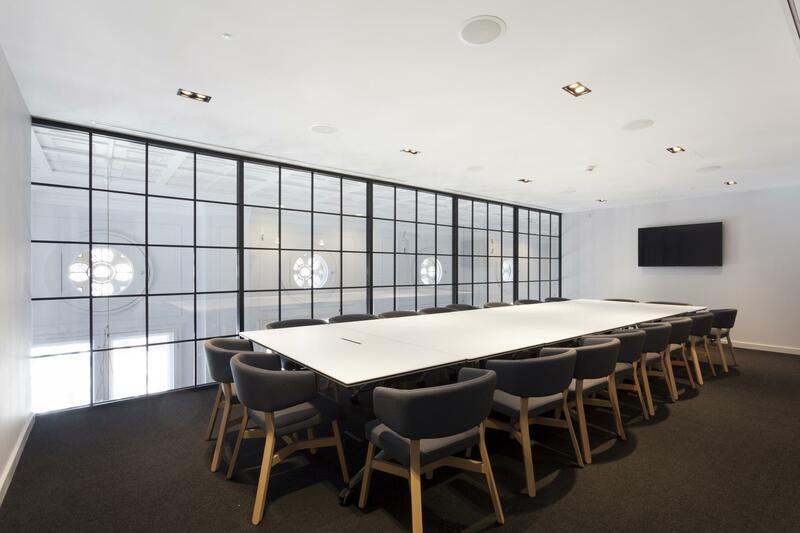 A stunning 20 person space perfect for those times you really need to impress, or 35 in theatre style. Natural light floods in form the windowed wall of the mezzanine level, and comes with wall mounted LCD screen. 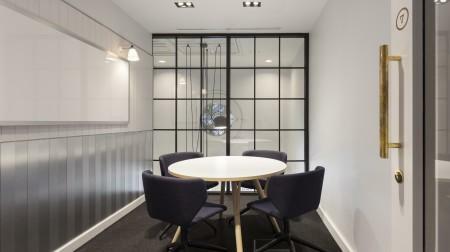 Ideal for interviews and conference calls, this room has a distinctly relaxed feel. Comes with a wall-mounted whiteboard. Perfect location. Easy access for meeting, etc. I will definitely continue using this location for future meetings.